Five years into the Farah era and still no one has been able to figure out how to beat him over 5,000 meters at full strength. Since the start of 2011, the Somalian-born Brit has run 19 5,000s and has won 18 of them. His only defeat during that span came to Edwin Soi at the 2013 Prefontaine Classic, at the end of a week in Farah was forced to miss significant training time due to illness. Apart from that, the man has been invincible over the 12.5-lap distance. 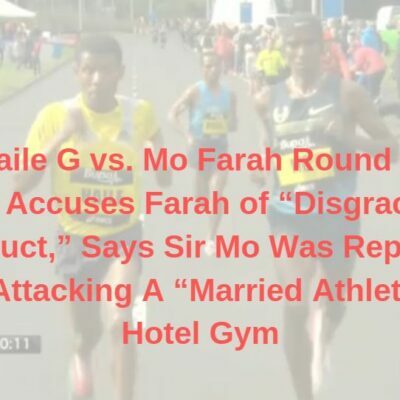 What else is there to say about Farah that has not already been said? His combination of 3:28 1500 speed and 59:32 half marathon strength (he ran these times a mere 117 days apart in 2015, with a 26:50 10k sprinkled in the middle) mean that you can’t outkick him, but you can’t drop him either. 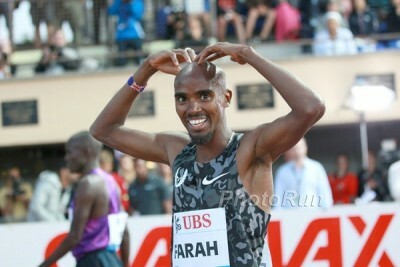 After falling in the Diamond League opener in Doha over 3,000 (Farah made a tactical mistake and his speed may not have totally come around by that point), Farah responded with a vengeance in Lausanne, destroying the field over the final lap. It was more of the same at Worlds in Beijing. The race went very slow — his 13:50.38 winning time was the slowest in championship history — and that played right into Farah’s hands as he blasted some incredible closing splits (52.5 last lap, 1:48.6 last 800, 2:19.2 last 1k and 3:55 last 1600) to win his fourth straight global 5k championship. The only thing that can stop Farah in 2016 is Father Time. He will be 33 by the 2016 Olympics. No one older than 29 has won the Olympic 5,000 since Miruts Yifter in 1980. There is some doubt as to how old, exactly, Yifter was at the time (although he definitely was over 29 – anywhere from 33 to 42). Of course, Farah has already defied history by continuing to win World Championship golds past the age of 30, but if he is to lose in Rio — and make no mistake, he’s still the favorite — age will be a factor. Beijing 10k runner-up Geoffrey Kamworor and 5k runner-up Caleb Ndiku both are incredible talents and both will both be 23 years old in the Olympics. Neither was that far away from Farah this year (impressive in Ndiku’s case given injuries kept him out of action until July) and the next year should help them more than it does Farah — it’s much easier for an athlete to improve at 23 than it is at 33. At some point, Farah’s age will catch up to him, or he’ll switch to the marathon. But that point certainly wasn’t in 2015, and until he shows signs of weakness, it would be foolish to bet against a man who with every step climbs higher on the list of the greatest runners of all time. After Kejelcha’s amazing performance at the 2014 World Junior Championships, it was clear he was a star in the making, but it was surprising just how quickly Kejelcha developed into one of the world’s finest 5,000 runners. Entering the year, he had just one result listed for the 5,000: the 13:25 he ran in Eugene last year at World Juniors. He crushed that in his first Diamond League race of 2015, returning to the same track to take down Edwin Soi and Galen Rupp in 13:10. He’d lower that mark twice more over the course of the season, clocking 12:58 in Rome on June 4 and a world-leading 12:53.98 in the Diamond League final in Brussels on September 11. You could call Kejelcha’s 4th in Beijing an underperformance, but that’s pretty harsh for an 18-year-old in his first year of racing at the highest level. The guys he lost to — Farah, Caleb Ndiku and Hagos Gebrhiwet — are all studs. And plenty of young guns have burned brightly at early-season meets only to flame out by the time Worlds rolls around. 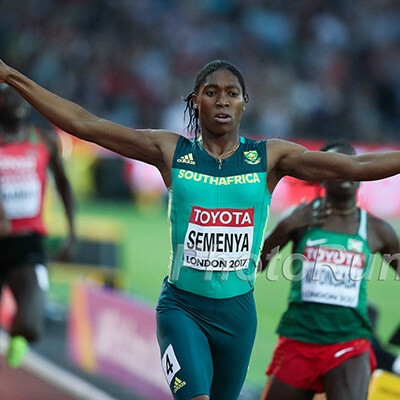 Kejelcha was less than .6 of a second from medalling in Beijing and came back two weeks later to run a world-leading time. He made it through the season just fine. One thing we hope Kejelcha doesn’t lose is his fearlessness. 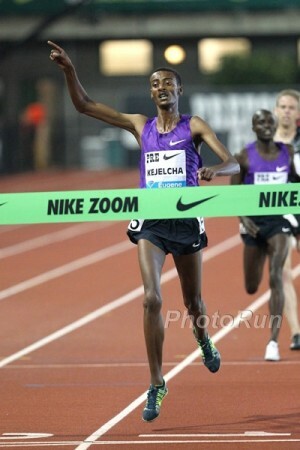 In Doha in May, Kejelcha made a huge move with 600 to go, and though he could not hold the lead, he threw a major wrench into Farah’s race plan, which allowed Gebrhiwet to steal the win. It was the kind of brazen move that a 17-year-old makes when he doesn’t know any better, but it also made for an incredibly exciting race and a welcome change from the traditional sit-and-kick finish. Given that Farah has proven unbeatable using “traditional” strategies, we hope that Kejelcha retains the confidence to make bold, aggressive moves in major races. We gave Kejelcha the nod over Gebrhiwet for the #2 ranking as Kejelcha was the world leader, had a winning record against Gebrhiwet at 5000 (2-1) and he also won 3 DL 5000s as compared to Gebrhiwet’s 1. After a down year in 2014, Gebrhiwet put together an outstanding 2015, starting with a 4th-place finish at World XC in March and culminating with a 12:54 5,000 (#2 in the world) at the Diamond League final in Brussels in September. In between, he became the first man in almost two years to beat Farah on the track in a race longer than 1500 meters and earned a bronze medal at the World Championships, closing in around 1:50 for his final 800. Not bad for a man who told us his 800 pb was just 1:53. Kenyan rival Caleb Ndiku had a case for the #3 spot as he beat Gebrhiwet at Worlds, but Ndiku was just 5th in Brussels and didn’t have another impressive DL 5k performance (Gebrhiwet ran 12:58 for 3rd in Rome). Even if you give Ndiku credit for his 3k win in Monaco, that’s cancelled out — and then some — by Gebrhiwet’s 3k win in Doha, which came against a significantly better field. Ndiku was number one on this list a year ago, and a couple of factors contributed to his three-spot drop. First and foremost was Mo Farah’s decision to actually race the event against serious competition. Farah ran just two 5,000s in 2014 — both easy victories, at the Portland Track Festival and the European Championships — but since he didn’t beat anybody worth noting, we only ranked him 10th. He was obviously going to rise on the 2015 list, and his fourth straight global title meant we had to put him #1. The other factor that contributed to Ndiku’s fall was his health. A knee injury meant that he missed a chunk of training during the first half of the year and prevented him from racing until July 9 in Lausanne — where he was promptly spiked, causing him to fall down and miss two more weeks of workouts. Considering all that, it’s absurd that Ndiku was able to take silver in Beijing. Ndiku deserves credit not only for his toughness but for taking off with 800 to go in the World Championship final rather than allowing the race to come down to a last-lap sprint, which Farah would inevitably win. Of course, Farah won anyway as Ndiku could not maintain his pace over the final 200 (he ran 26.08 for the first 200 of the bell lap! ), but no one can accuse Ndiku of taking the coward’s way out. Given his lack of training in 2015, his 3:29 speed and his relatively modest (by WC medalist standards) 12:59 5k pb, a long, drawn-out kick wouldn’t have served Ndiku well in Beijing. 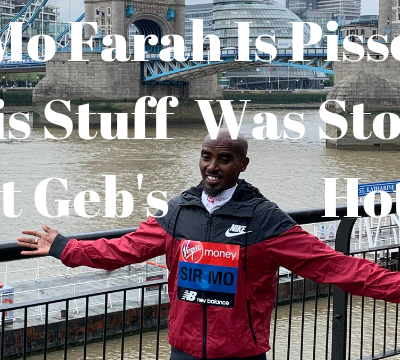 His best bet to beat Farah was the strategy he employed — get the jump on him and control the race from 800 meters out — but in the end his lack of training and Farah’s brilliance won out. If Ndiku can stay healthy between now and August 2016, he’ll make things interesting in Rio. He and Kejelcha are two guys we could see beating Farah in 2016 if they get a little bit better and Farah gets a little bit worse. Rupp was the highest finisher at Worlds. Hill was the USA champion. True ran the fastest time on the year and was 2-1 against both Rupp and Hill. Put them all on the line in a big race this year and any finishing order was possible: indeed, their finish a Worlds was the inverse of their finish at USAs just two months before. USAs and Worlds were clearly the most important meets, but how to weigh them when all had the same average finish (2) between the two meets? True has the added bonus of winning a Diamond League meet in New York (one that counted in the DL standings, albeit with several top 5k guys missing), but one that neither Rupp nor Hill raced in. We want to reward True for showing up to a DL race and winning it, but we can’t exactly fault Rupp or Hill for skipping it — both ran the 5k at the Pre Classic two weeks earlier (a race True did not run) and you can only run so many 5ks in a season. See why it’s so hard to name a winner? Initially, we considered putting them in a three-way tie, but we decided to ask LRC Nation before finalizing our rankings: MB: Who should we rank as the US #1 in the men’s 5000 this year? Rupp, True or Hill? True earned the popular support in that thread. We really liked the fact he won a legitimate Diamond League event. 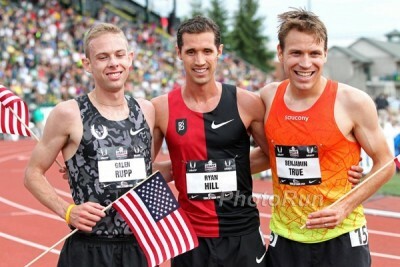 And our conversation with Hill earlier this month confirmed to us that True should be the U.S. #1, so we put True as first American and then had Galen Rupp and Ryan Hill in a tie for 2nd American. If Hill had to choose, though? “I’d probably lean toward Ben because of his consistency across all three major categories,” Hill said, those categories being performance at USAs, performance at Worlds and season best time. If True is first, we’re putting Rupp ahead of Hill. Rupp and Hill were 2-2 in 5ks, but we put slightly more value on Worlds than a win at USAs, so Rupp’s the guy for second, although one could argue that Hill deserves it as he had the better seasonal best time. We will add this caveat, however. If you lined them all up fresh for a race in 2015, we would take Rupp. Rupp lost to both Hill and True at USAs, but he was doubling back from a truly impressive (and physically draining) 10,000 three nights earlier (True was also doubling back but wasn’t close to Rupp in the 10k, while Hill was fresh). Then in Beijing, Rupp ran his best race of the year to take 5th in the 10k in 27:08 despite hot, humid conditions; coming back from that effort, he was still able to beat both True and Hill in the 5k a week later. Rupp did lose in Brussels when all were fresh, but to be fair to Rupp, he went out very aggressively chasing a fast time and paid for it, fading badly over the final few laps as both True and Hill beat him handily in the end (MB: Ben True and Ryan Hill Take Down Rupp). Whoever your pick is for the top American in 2015 (and any of the three men above is a reasonable choice), let’s appreciate how good this trio was this year. Rupp, True and Hill went 5-6-7 at Worlds, ahead of two of the three Kenyans in the field. Historically, only six American-born men have ever placed in the top seven in the 5k at Worlds (Bob Kennedy did it twice), and three of those performances came in 2015. The very best Africans are still better than the best Americans, but the U.S. outperformed Kenya at Worlds in the 5,000 and wasn’t that far behind Ethiopia. And the future is bright for America. At USAs, 4th placer Garrett Heath came within .07 of snagging Rupp’s spot to Worlds and 5th placer David Torrence wasn’t much further back. Eric Jenkins ran 13:07 at age 23 and his former Oregon teammate Edward Cheserek figures to gain U.S. citizenship in the next year or two. The U.S. may not have athletes breaking 13:00 with regularity (in fact, no American has done it since Bernard Lagat in September 2013) but championship races, in which positioning and closing speed is key, play to the Americans’ strengths. It wouldn’t be a surprise to see multiple Americans in the medal mix on the bell lap in Rio. Who should be the 2015 U.S. #1 at 5,000 meters? We almost ranked Longosiwa #5 as he had had a better Diamond League season than Ben True (they both won a DL event and Longosiwa was ahead of True at the DL final), however Longosiwa did not run the World Championships so he drops to #8. Some may say its unfair to penalize Longosiwa for not bein gat Worlds because making the Kenyan team is harder than making the US team, but for whatever the reason he was not at the biggest meet of the year and his year end ranking reflects that. If we were doing tennis rankings and a top player missed Wimbledon that would have to have an impact in the rankings if the player was being compared to a player who did well there. It was enough to drop Longosiwa from #5 to #8. (Putting him#6 was another option). Longosiwa gets credit for running fast (only Longosiwa, Kejelcha and Gebrhiwet had two sub-13:00s to their name this year) and performing well in his four Diamond League outings. 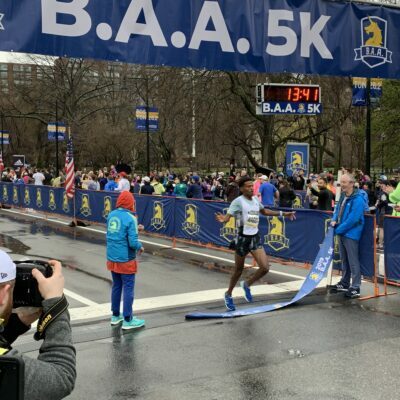 His 4th in New York wasn’t great given the strength of the field, but he won Birmingham and was 4th in the DL final behind only Kejelcha, Gebrhiwet and Abdelaati Iguider. The stain on Longosiwa’s resume is the fact that he didn’t run Worlds, and for that, he’s below the Americans but we can understand why others would rank him #5 and the Americans 6-7-8. While Longosiwa was a distant fourth at the Kenyan Trials (over 11 seconds back of third) and the Kenyans who beat him at the Trials and ran Worlds (Isiah Koech and Edwin Soi) were only 8th and 10th (Ndiku didn’t run the Trials), Longosiwa did beat all of the Americans after Worlds. Kaya broke out in a big way in 2015, dropping his pb a staggering 31 seconds in one race, from 13:31 to 13:00 in Rome on June 4. That was far from his only notable performance, however, as he cruised to a European title indoors (won by 6+ seconds), claimed Euro U-23 gold in the 5k and 10k and wound up 7th (10k) and 9th (5k) at Worlds in Beijing. He closed out 2015 with a win at the European Cross Country Championships in France on December 13. Soi’s season best (13:11) wasn’t impressive, but he put together three solid Diamond League runs, finished 10th at Worlds and won the Kenyan World Championship Trials by over three seconds. 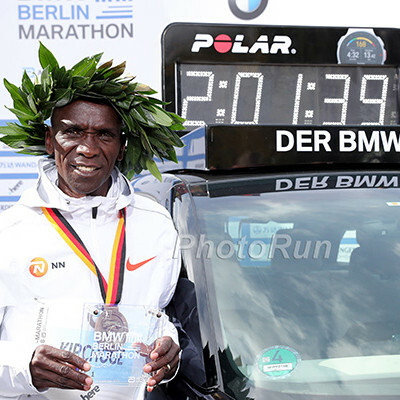 That race — in which Soi ran 13:30 at altitude in Nairobi — was his best of the year. Just look at the gaps behind him and you can see the degree to which Soi dominated. Longosiwa, as we pointed out above, is no joke. He broke 13:00 twice this year and is the reigning Olympic bronze medalist. Beating him by 22 seconds in a race with a World Championship berth on the line is no small feat and that performance is a big reason why Soi is #10 on our list. 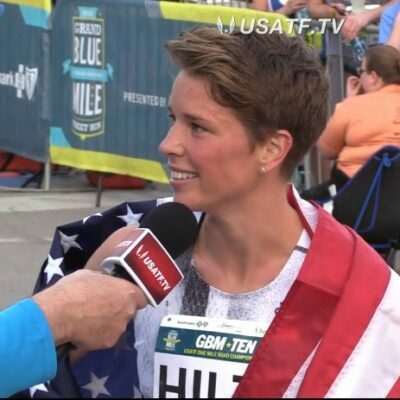 We’ll add a little more about Hill here as he made several interesting points during our chat with him this month (in case you missed it, scroll up to where Hill appears in the World rankings for more from Hill). On how USAs played right into his hands: “That 5k, everything went perfectly, the way I expected it to go. I made all the right moves at the right time. My legs were there the last lap, I had the best kick. Sometimes those kind of races just come together. It was almost perfect. “I would probably say my ability to stay with the race when it was getting tough. Especially in a 5k like that [at USAs]. That fourth k[ilometer], that k from 3k to [4k], that was kind of a problem for me. In the past, I was getting dropped or I was getting in bad position and this year I really worked on sticking in there with the leaders so that I was there when a kick was taking place, so that I could actually be in a position to win. And that probably comes from strength training, doing some really hard workouts, doing some good altitude training. I just became a stronger athlete. “The greatest lesson I learned was probably at Worlds. I got shuffled to the back and was too timid to make a big move to the front, which is frustrating because all my successful races that year, I put myself in good position and wasn’t afraid to make a move. Hill is right when he said you need 1500 speed to medal these days. Gold medalist Mo Farah (3:28.81 pb, #9 all-time) and silver medalist Caleb Ndiku (3:29.50 pb, #20 all-time) are both among the 20 fastest 1500 guys of all time. Farah closed his last 800 in Beijing in a ridiculous 1:48.6 and Ndiku and bronze medalist Hagos Gebrhiwet closed in around 1:50.0. “Obviously I’m always going to work on strength because it’s the basic principle in any distance runner’s training. I’m not going to change any of my strength workouts. I would say that I need to change those hard, long last 800-meter type workouts. Both men recognize they have to improve over the final 800 to be in medal contention in Rio; they may just go about it in different ways. Like the 1-2-3 spots, 4-5-6 is a tough call as you can make a compelling case for several runners. We’re going with Torrence, as despite a modest 13:30 sb, he ran well when it counted in 2015. He was a very competitive 5th at USAs, then finished as runner-up at the Pan Am Games on July 25 (avenging a loss at USAs to Garrett Heath in the process). Then he closed out his season with a national title at the U.S. 5K Road Championships in Providence on September 20. Those three runs are more important to us than a great time. You could give this spot to Eric Jenkins and we wouldn’t argue given that Jenkins ran 13:07 and became the first American man since Galen Rupp in 2009 to win an NCAA 5,000 title. But that win was indoors and Jenkins lost to Heath at USAs — it wasn’t particularly close, actually, as Heath beat him by over four seconds — and Heath was just .07 away from beating Rupp and making it onto Team USA. Given that performance and Heath’s solid 13:16 sb, we’re putting him at #5. Championship 5,000s are about closing speed, and Heath (who ran 3:34 for 1500 this year) has more speed than Jenkins. Heath, Torrence and everyone else better watch out, though. Jenkins is the real deal, and without the long college season to tire him out (he seemed worn-down at USAs), he should be fighting for an Olympic spot in 2016.